Nowadays, most of the people have a smaller backyard where they conduct fascinated occasions. The grill manufacturer companies too have noticed this fact and have started producing compact and two-burners gas grills. Along with that, they attach foldable side tables with the grills so that you'll not face any storage problem. If you've sufficient space, you can use the tables, but if you don't have the same, you can keep them remain folded. No matter how small grill had been manufactured by the company, it provides full grilling experience to the users. 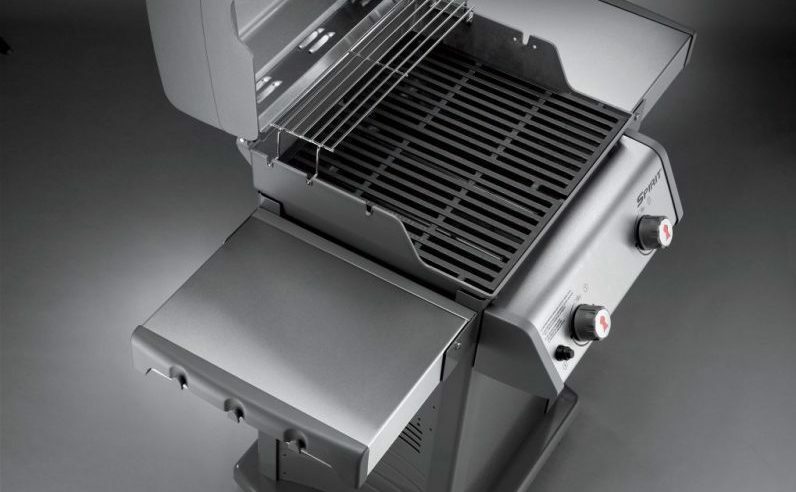 In this article, our eye will be on such a two-burner gas grill called ‘Weber Spirit S-210’. So if you're planning to buy any other gas grill, then we'll recommend you to read this Weber Spirit S-210 Review and who knows if you'll change your mind. At both the sides, there are side tables present which are foldable. You can keep any stuff there, which might come into use while cooking. You'll also get a storage cabinet with a single stainless steel door along with a handle over it. Underneath, you'll find coaster wheels for smooth movement of the unit. Overall, it has got a classic look which will undoubtedly receive many applause from your guests. 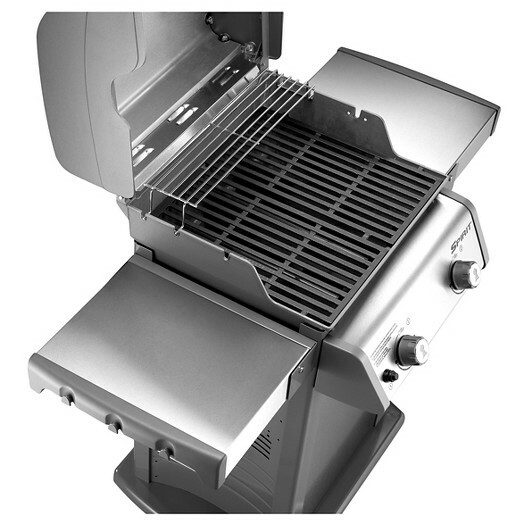 Weber Spirit S-210 Gas grill is redesigned in the year 2013 by Weber. In this modification, they've brought the control panel in the front, which was at the right side table. 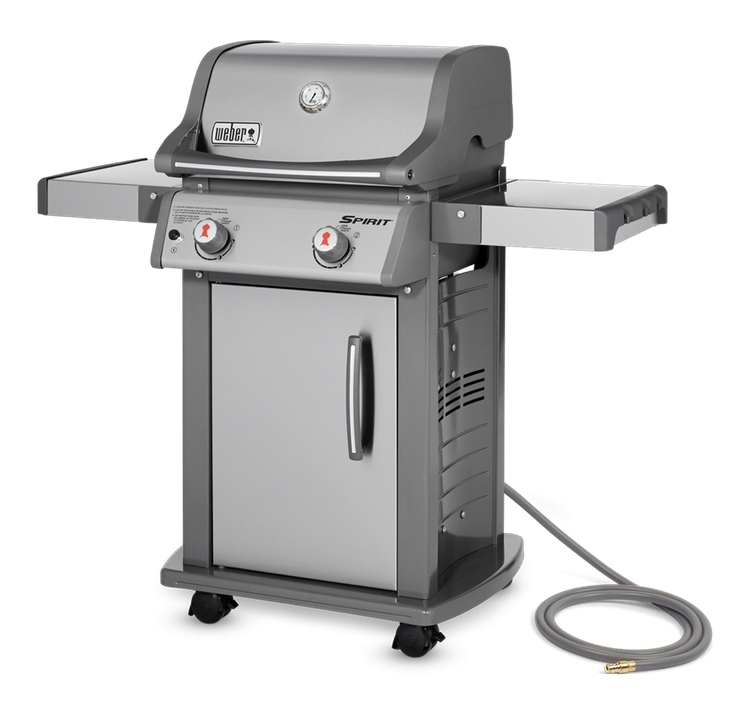 The best thing about this grill is, it is small/compact and is comparatively inexpensive. You can stock this has grill not only at backyards but also at balconies of your home. It consists of two stainless steel burners that yield a total heat output of 26,500 BTUs, each providing heat power of 13,250 BTUs. It comes with porcelain-coated cast iron cooking grates that provide a total cooking surface area of 360 square inches. The advantage of porcelain coated cooking grids is, they are super easy to clean. You might find the preheat time longer as it is not the powerful grill. But, cooking grates hold a significant amount of heat and distribute it properly. You are provided with a wide temperature range, and this means you can use it for low-temperature or slow cooking. The cooking space is sufficient enough to cook or whole roast chicken. At the unit, you'll be provided with the hood mounted thermometer and propane tank gauge. This thermometer will tell you the exact temperature readings of the interior. Weber is a trusted brand when it comes to grills and smokers. Over the years, the company has been serving continually to deliver the best to their customers. Weber always provides prompt attention to their users. ● 10-years warranty on the stainless steel burners. ● 5-years warranty on cooking grates and flavoring bars. ● 2-year warranty on remaining all the other parts. It comes with useful fold-down side tables. It has excellent build quality. It has an infinity ignition system for one-touch lighting. It has porcelain enabled cooking grids which are easy to clean. Stainless-steel is not very tough. Do not have any additional side burners.